When you arrive at Edinburgh Airport, collect your bags and proceed to the UK Domestic Arrivals area. 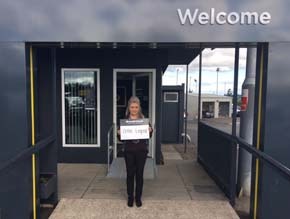 Once there please call Arnold Clark on 0131 333 0347, give the operator your name and a representative will come and collect you (this number should only be used for Airport collections). To find the pick up point from the terminal exit, walk along the glass covered walkway and use the pedestrian crossing to reach the bus stances opposite the tram terminal. The Arnold Clark shuttle bus collection point is at Coach Stance 1 in the coach car park. Your transfer to the rental branch will take about 3 minutes. 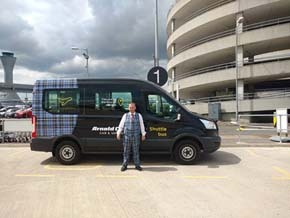 During office opening hours, rental vehicles must be returned to the branch at Eastfield Road, Edinburgh Airport. When you arrive at the branch, your vehicle will be checked in before you transfer to the Airport Terminal in the free shuttle bus. Please allow 20 minutes for your vehicle check in and transfer to the Terminal. With advance notice an Airport out of hours vehicle delivery service can be provided. Please note – an out of hours pick up must be paid for in advance. 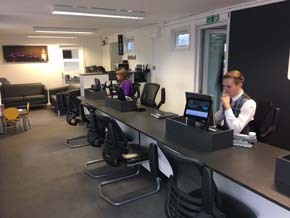 If you organise an out of hours vehicle pick up you will be met by a member of staff in the Airport Terminal and taken to your car. With advance notice an Airport out of hours vehicle drop off can be provided. An out of hours drop off must be paid for in advance. 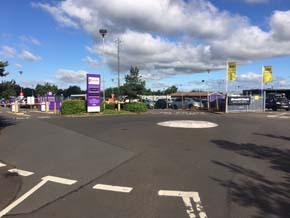 If you are departing outside branch opening hours your rental vehicle must be returned to the PremiAir Car Park which is next door to the Arnold Clark car rental office. Rental car keys MUST be left with a member of staff at the PremiAir Car Park Reception. The PremiAir Car Park will provide a courtesy bus to the Airport Terminal – you will be transferred to the Airport immediately. The journey will take about 3 minutes. Please remember to bring your full driving licence (card and paper, if applicable), DVLA Code, credit card, passport (if applicable) and two proof of address with you when renting a vehicle. Please remember to bring your full driving licence (card and paper, if applicable), credit card and passport with you when renting a vehicle.